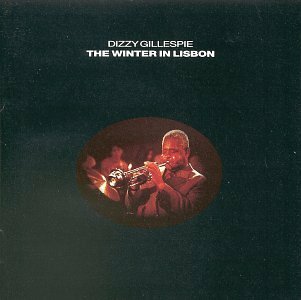 Recorded in '90, three years before Dizzy Gillespie's death at age 76, this reissued album was a soundtrack for a movie of the same name. Never released in the US, the film shows the jazz legend in the role of a famous jazz musician. 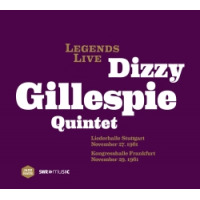 The compositions are by Gillespie and executive producer Charles Fishman, along with a then-unknown young Panamanian pianist, Danilo Perez. Arrangements are by Slide Hampton. As compositions some of the tunes stand on their own, independent of the movie, as well-crafted works (Fishman's ballad "Magic Summer," in particular). First performed with vocals by a husky-voiced, classically-trained Leola Jiles, and then orchestrally and finally solo by Perez, the relaxed, melodic song can easily become part of any jazz musician's repertoire. Gillespie's "San Sebastian" is a Latin ditty with shifting tempos highlighted by a nimble-fingered Perez. On "Lisbon," the pianist once again displays his talent on a ballad with thoughtful, delicate work on the eighty-eights. Gillespie's "Isthmus" is a catchy bop number that surprisingly has not seen much of a life past this album. 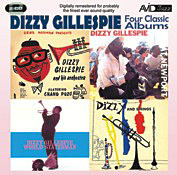 Gillespie's heyday was in the '40s and '50s. He helped revolutionize jazz music with the creation of bebop and Afro-Cuban jazz. As demonstrated on this release, however, by the '80s his famous chops had significantly diminished. He does not play on all the tracks and when he does, his sound is frail and short-winded. The glue that holds the record together, though, is Perez, one of the most talented pianists in jazz, both in his own projects and in his work with the acclaimed Wayne Shorter Quartet. 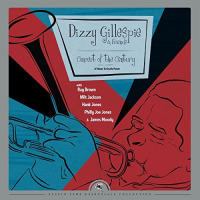 Personnel: Dizzy Gillespie- trumpet; Leola Jiles- vocals; Mario Rivera- flute, soprano sax; Danilo Perez- piano; George Mraz- bass; Grady Tate- drums; Richard Spencer- viola; Bob Carlisle- French horn; Sandra Billingslea- violin; Akua Dixon- cello.